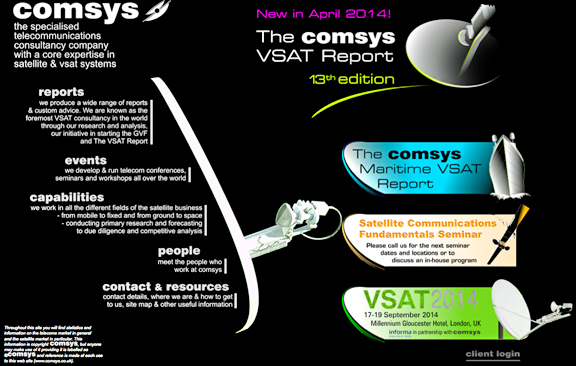 [SatNews] The 13th edition of the COMSYS VSAT Report is now available and, for the first time, is also available as a PDF—the VSAT Report is the result of more than 12 months of research, involving site visits and interviews with companies from Australia to Argentina and from Pakistan to Peru. The VSAT Report is an invaluable reference source on this industry, enabling telecommunication and IT managers, existing and prospective system operators, manufacturers and integrators to stay competitive and increase profitability. 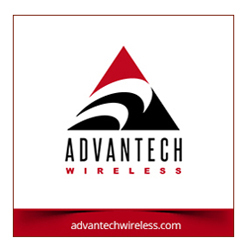 It remains the definitive study of direct-to-business earth station products and services. More detailed information on the report and some of its findings can be found at http://www.comsys.co.uk/ where additional information may be found. The report also addresses Ka-band, spot-beam, high-bandwidth spacecraft which are expected to increase global FSS capacity by an order of magnitude to almost 1.8 Tbits / second by 2016.